How many people have used the webcam capture feature build into YouTube? I know I have used it many times, since it’s built into another tool known as Video Everywhere in the Blackboard Learning Management Systems. Did you know that the YouTube webcam capture feature is retiring very soon. 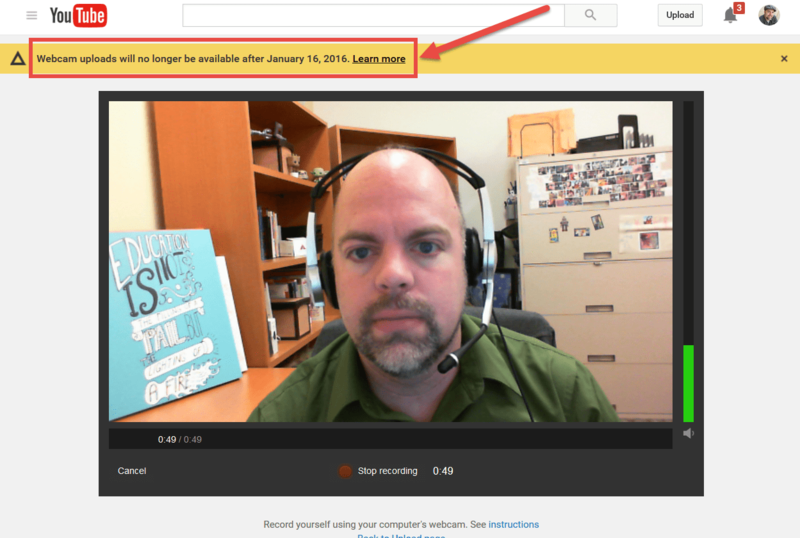 The webcam capture feature will not be available on YouTube after January 16, 2016. 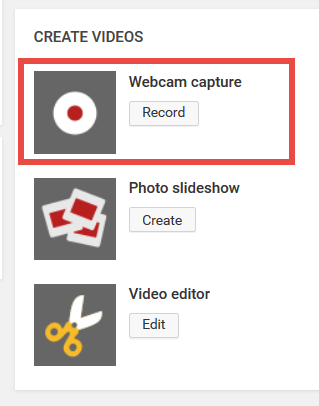 Previously, if you had a webcam built in or connected to your computer, you could record a webcam video on YouTube and upload it directly to the site. This feature will be turned off because it is rarely used and is built on technology that is no longer supported. You can use software on your computer to record and save a webcam video, and then upload the video to YouTube. Popular software includes Photo Booth for Mac OS X and Camera for Windows 8+. If you have another OS, you may need to look up how to record videos using your webcam by referencing your device manual or searching online. If you have an iOS or Android phone, you can record videos with your phone’s camera and upload them with the YouTube app. Recording directly from a webcam can be a useful tool when creating quick content to upload as an announcement, update, or quick recording that doesn’t need editing. I’m guessing more and more, especially on a mobile device, many are recording using another program and uploading to YouTube directly afterwards. Using free tools built into the various system can be a simple way to record from your webcam, such as Photo Booth for Mac and Camera for Windows. Most webcams come with various software to record too. Typically on a mobile device you can record directly to the device and upload using the YouTube Capture app. What do you think about YouTube eliminating this feature? Do you know of other tools that utilize this tool that will need to find another solution?